Physi-go-mum is a brand new specialist exercise class developed by physiotherapists to address the specific physical needs of mums-to-be and new (or not so new) mums. With the changes the body goes through during pregnancy, child-birth and post-natal stresses physi-go-mum takes a very specific biomechanical approach to regaining control, movement and strength in a safe, structured environment led by fully qualified physiotherapists. The classes are held in the purpose built studio using equipment and also the ‘free’ equipment of your prams and babies. Weather permitting we use local outdoor space to demonstrate how accessible exercise can be. It is a ‘bring your baby’ class, and as the baby is part of the rehab process no child care is needed! And afterwards mums are welcome to stay on for a cuppa and natter. 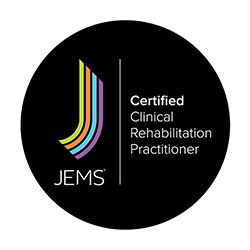 Once you have been assessed by one of our Physiotherapists to determine your particular needs the class runs as a course with an hour long session once a week for four weeks. Please contact our local provider, ‘Plym Physio’ for details on dates, timings, availability and costs of current and upcoming courses. Physi-go mum runs as a four week course, beginning at the start of each month.